Keith Haring died 22 years ago today and I’ve been reflecting on what he was able to accomplish in his 13 year career as an artist. His work has always had a profound influence on my perception of art. His SF MOMA retrospective in 1998 was the first show that I attended on my own and I was captivated by the vibrance and energy of his art. 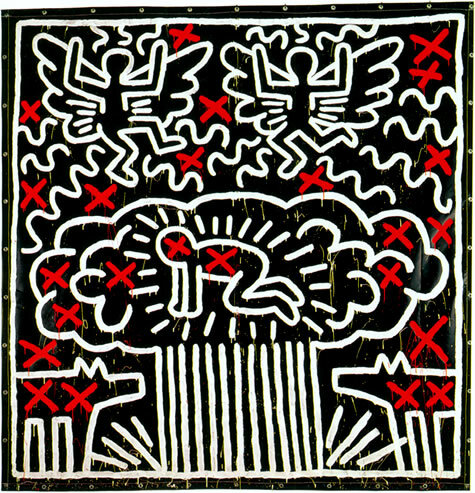 Haring is one of those artists who was able to reach the masses with his work which had a decidedly playful and innocent feel, yet at the same time he was able to deftly speak to social issues in a very perceptive and emotional way. 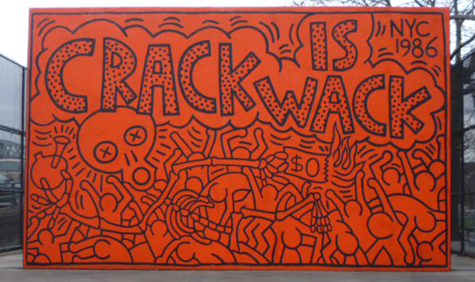 According to Haring, “An artist is a spokesman for a society at any given point in history. His language is determined by his perception of the world we all live in. He is a medium between “what is” and “what could be”. It was during a trip to London where I learned more about how music played such a vital role in Keith Haring’s life, especially when it came to the Paradise Garage (I found a rare copy of Larry Levan’s last performance at Paradise Garage in 1987-album art was by Keith Haring). The Garage was a NYC nightclub that served as a refuge for young gay men in the 80’s; for years DJ Larry Levan held court on the turntables at Paradise Garage whose innovative sound system was equally legendary and served as a blueprint for today’s dance clubs. Haring, through his close relationship with mentor Andy Warhol met a muse and a canvas in Grace Jones, whose body he would regularly paint at the Paradise Garage, and the collaborations and inspiration continued. I have never forgotten the beautifully epic dress /canvas that Haring designed for one of my favorite Grace Jones videos in 1986. In reading his diaries it was touching to see how much of a profound impact that Paradise Garage had on him, especially when it closed in 1987. Haring’s work inspired a new generation of street artists who sought to use innovative mediums to express themselves in public art. I can’t help but pause when I think about this iconic mural done in 1986. Such a sad reminder of Whitney Houston’s battle with addiction.